What Are My Options to Check the Powerball Winning Numbers? You’ve bought your PowerBall ticket and now it’s time to figure out whether you’ve become (a few million dollars) richer. Checking lottery results is one of the most exciting and nerve-wracking parts of the process. Fortunately, there are dozens of ways to figure out if you’re the owner of the big PowerBall ticket. 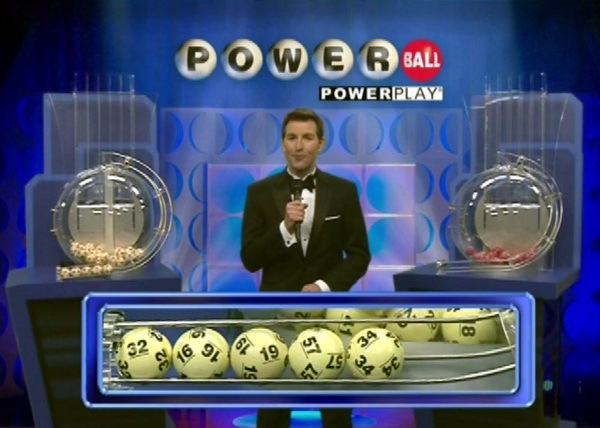 The ways to check the PowerBall results range from traditional to a bit more hi-tech. 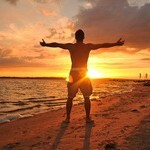 Here are some of the top opportunities to try and good luck! The first, most obvious and traditional option for getting the PowerBall results is watching the drawing on TV. This option is suitable for people in the US who are particularly eager to get the results immediately. Depending on the place you’re living, you’ll have to watch a certain channel to see the live drawing. The channel number will also depend on the cable provider’s policies. The official PowerBall website lists the TV stations that air the drawings and the channel number. Based on this information, you can do a bit of research and figure out at what local time the drawing is going to air. The PowerBall drawing takes place every Wednesday and Saturday at 10:59pm Eastern Time. If you don’t live in the US, but would still like to see the winning numbers being drawn, you can watch a live online streaming. 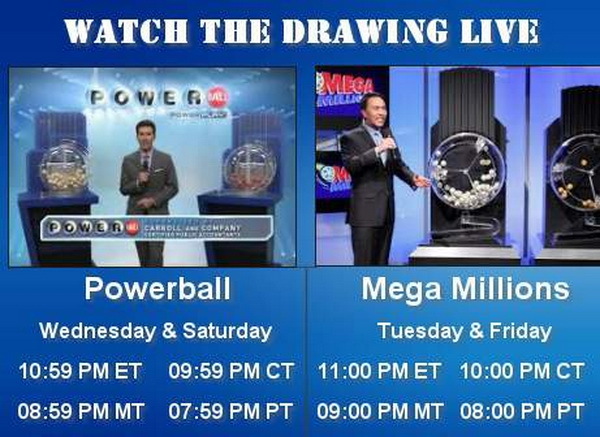 There are several PowerBall livestream options. You’ll simply have to tune in at the right time on Wednesday and Saturday to get the results. It’s a good idea to visit the live stream website at least 10 to 15 minutes before the drawing starts. There are thousands of people from all parts of the world interested in doing the same. If you wait for the last moment, chances are that you’ll be incapable of accessing the live stream. The live streaming website also features the winning numbers for the latest drawing. Thus, if you’ve missed the real life action, you can still get the results and figure out if you’ve managed to become at least a bit richer. Trying to buy PowerBall tickets from another country? You’re certainly familiar with online lottery agents. These are the websites enabling you to buy tickets for international lotteries, including the PowerBall in the US. There are dozens of legitimate options for buying PowerBall tickets online. The website that you’ve chosen for the purchase of your ticket will also feature the latest results almost immediately after the drawing has taken place. Another benefit of using such services is that you’ll get an email notification after the winning PowerBall numbers have been announced. The email will contain the results and tell you whether the numbers you’ve chosen grant you access to any of the monetary prizes. Don’t crave the immediacy of watching the PowerBall drawing or you simply don’t have the time to watch it on TV? Worries not; there are other ways to check the results. The official PowerBall website is a wonderful resource for all players, regardless of their location. The website provides information about the latest results, the current estimated jackpot, the number of winners for the latest drawing and the value of non-jackpot prizes. 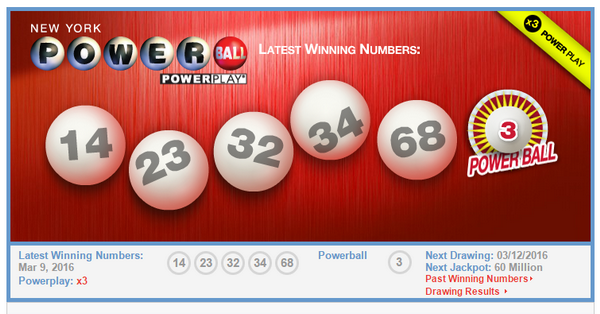 PowerBall’s official website also has a great tool that enables you to check the ticket you’ve bought. There’s also a record of the drawing, if you’d like to watch it later on. If you don’t feel like visiting the PowerBall website, you’ll probably find the official PowerBall app beneficial. The app is available for both iOS and Android devices and it makes the checking of the results relatively simple. Lottery USA is a website dedicated to information about… well, lotteries in the USA. 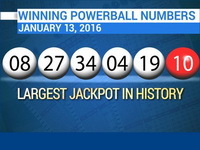 You’ll get the latest winning PowerBall and Mega Millions numbers. The website also features a lot of information about the rules of each game, the prize tiers and the odds of becoming the next American millionaire. One fun feature that the website brags is a lottery horoscope. Based on your star sign, you can get a bit more information about the odds of winning the PowerBall. There are even lucky number predictions and who knows – maybe they’ll help you win some easy bucks? Let us know if you decide to test this feature! 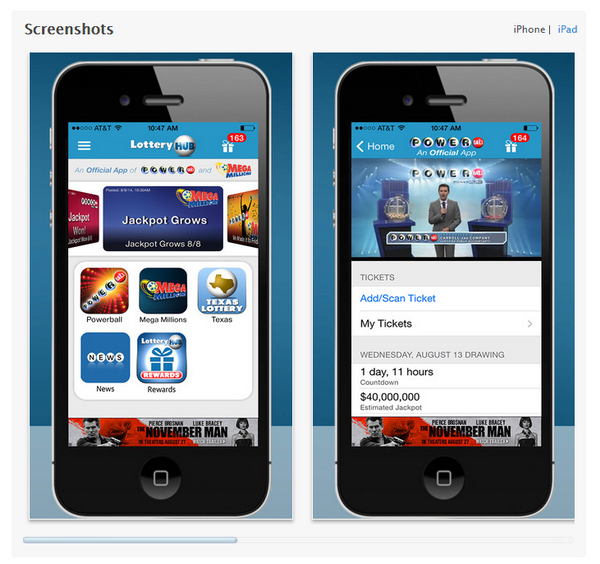 Need a phone app to check the PowerBall results? Try LotteryHub. The LotteryHub app allows you to watch live drawings on your phone, enter the numbers for the tickets you’ve purchased and get results notifications. 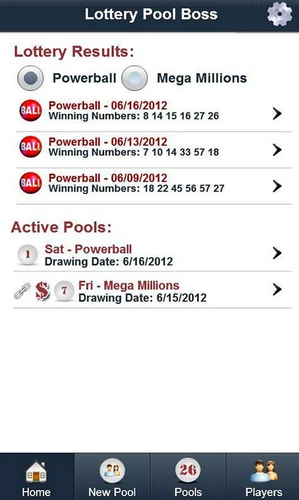 The app gives you access to both PowerBall and Mega Millions data. On top of that, you can collect LotteryHub points by entering numbers, checking results and watching videos through the app. These numbers will qualify you for additional LotteryHub prizes and that’s always fun. Depending on where the PowerBall ticket has been purchased, there could be some additional opportunities for checking winning tickets. Each state lottery has its official website that presents the PowerBall numbers. These official online pages can also contain additional information about terms and conditions or collecting your PowerBall prizes. You may want to do a search in Google by entering terms like PowerBall + the state where you live in. The search results will guide you to the official state lottery website where you can find a ton of beneficial information. Here’s another easy to use phone app that will give you access to the latest PowerBall results. The lottery ticket scanner by Lotto Monkey Classic does exactly what its name suggests. After you’ve bought a PowerBall ticket, use your phone to scan the numbers. 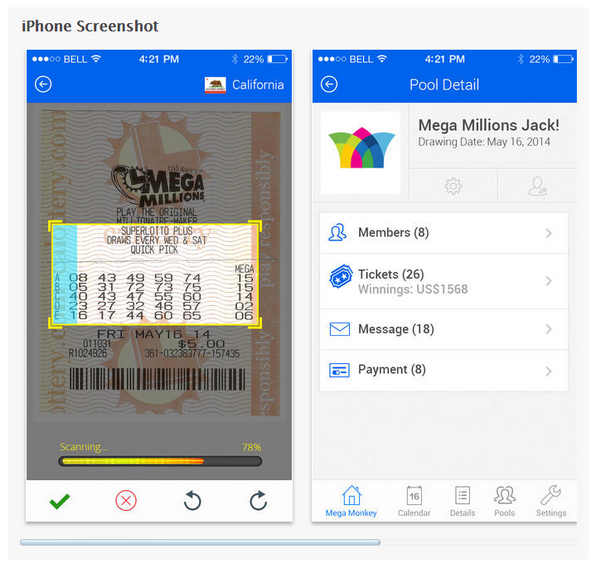 The app will give you drawing alerts, an automatic number rollover function, quick pick tools and email notifications about whether you’ve won anything. The final entry in the list is a bit more specialized, and it’s perfect for the individuals that manage lottery pools and that would also like to have access to the latest PowerBall drawings. 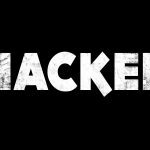 Lottery Pool Boss is used to track participation in pools, figure out who has paid for the tickets and even allow the players to prepay for the pools. With this automatic pool establishment and tracking, it gets really easy to manage the lottery playing efforts of multiple individuals. 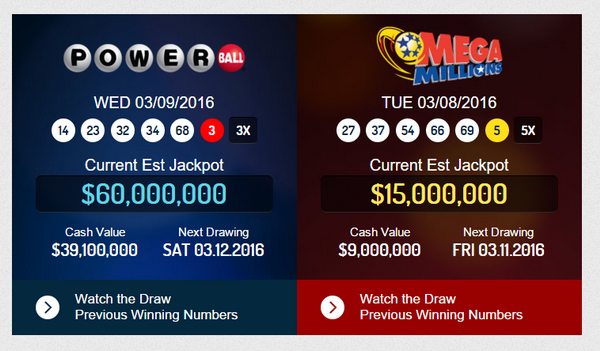 In addition to those cool features, lottery Pool Boss also features the latest PowerBall and Mega Millions results. These are just 10 of the ways to check your PowerBall tickets. Needless to say, you’ll come across dozens of other apps and websites that feature the lucky numbers. Choosing one tool or another depends entirely on individual preferences. Has this ever happened to you – you’re heading home and on the way back from the office, you remember that you haven’t checked the PowerBall numbers for the latest drawing. If the spot you usually buy tickets from is nearby, you can stop by and see whether you’ve won anything. The benefit of this approach is that you’ll get the winning numbers and you’ll also collect a prize (unless you’ve won the jackpot, of course). It’s a two in one time saving possibility that so many people have gotten used to. These are just 11 of the ways to check your PowerBall tickets. Needless to say, you’ll come across dozens of other apps and websites that feature the lucky numbers. Choosing one tool or another depends entirely on individual preferences.